You'll be £20.00 closer to your next £10.00 credit when you purchase The Yellowlegs. What's this? Order within the next 6 hours, 20 minutes to get your order processed the next working day! The story of America’s cavalry is extraordinarily rich in colourful, and often flamboyant, personalities and exciting action. Indeed, much of the early military history of the United States is dominated by the exploits of its horse-soldiers. 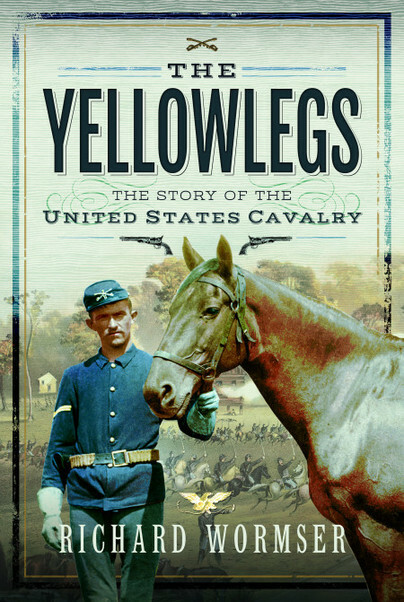 In this comprehensive and lively account, the author – who was himself an enthusiastic horseman – narrates the major events and characters of the US Cavalry’s formative, and, some might say fruitful, years. From the American Revolution and the exploits of men such as Henry ‘Light-Horse Harry’ Lee III and Francis Marion, the first of the guerrillas, the author follows on with Stephen Kearny, the ‘Father of the Cavalry’ whose Dragoons went West to California on mules, and his nephew Philip, who organized the famed Gray Horse Troop of the Mexican War. Other famous names that feature in this narrative are those of Jonathan ‘Stonewall’ Jackson, George Crook, who admired the Indians it was his duty to hunt down, and George Armstrong Custer. A United States Army officer and cavalry commander who served with distinction in the American Civil War, Custer is most commonly remembered for leading more than 200 of his men to their deaths in the Battle of the Little Bighorn in June 1876. Also known as ‘Custer’s Last Stand’, Bighorn was part of the Black Hills War against a confederation of Plains Indians, including the Cheyenne and Dakota Sioux. It remains one of the most controversial battles in American history. Roosevelt’s Roughriders and Black Jack Pershing, who led his troops in an automobile, complete the narrative – one which is undoubtedly a saga of daring raids, of epic marches, and of gruelling battles. As the author reveals, the story of the US Cavalry is also the story of the birth and growth of America itself. Born in New York on 2 February 1908, RICHARD EDWARD WORMSER graduated from Princetown University to become an award-winning writer of fiction, under his own name as well as a number of pseudonyms. Early in his career, Richard was employed as an editor at, and writer for, the famous publishing house Street & Smith. In the late 1930s he moved to California to be a rancher, and in the early 1940s served as a mounted patrolman with the US Forest Service. Richard passed away in Arizona in July 1977.